Neglected by her mom, Mariah was adopted by her grandmother at age three and lived with her until she got sick and passed away. After a short stay with her aunt and uncle, Mariah came to live at Place of Hope when she was 16. She recalls her very first day at Place of Hope, “The girls in the cottage stood at the front door with open arms waiting to greet me. That is my favorite memory of my time at Place of Hope.” Mariah later met Janine working in the front office. The two clicked right away and Mariah asked Janine to be her mentor. Janine and her family welcomed Mariah in as one of their own and Janine’s two sons asked if their family could adopt Mariah. That started a very real conversation. On October 11, 2016 Mariah became a part of the King’s forever family! 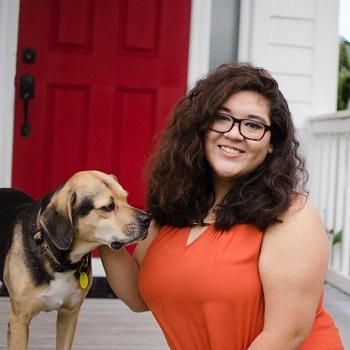 Currently a senior in high school on honor roll and in multiple Advanced Placement classes, Mariah plans to attend a local university after graduation to remain close to her family. She aspires to get a degree in Social Work and would love to return to Place of Hope. Her Case Coordinators made a huge impact on her life and she dreams of following in their footsteps to bring joy and hope to the lives of other foster kids just like her. Watch her Story of Hope here.